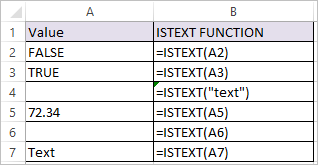 ISTEXT Function in Excel tests if a supplied value has text. 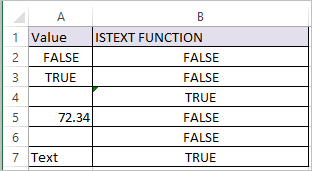 If so the ISTEXT Function returns TRUE, if not the function returns FALSE. Where value argument is the value or expression to be tested.